Victoria and Westwind Taxi are leading provider of Taxi services in Victoria, Langford, Metchosin and Colwood on Vancouver Island, BC. We are pleased to offer our valued clients the very latest in smartphone booking technology with our free Victoria Taxi Smart Hail application. 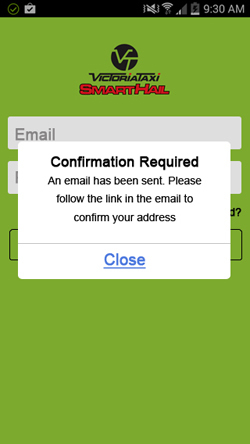 On booking a reservation, you will immediately receive a confirmation number, along with an update when your vehicle has been assigned. 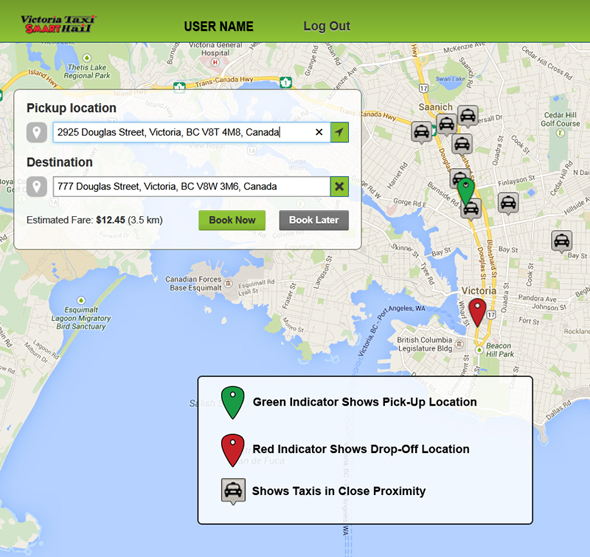 From here you can monitor the progress of your vehicle as it moves towards your pickup location. 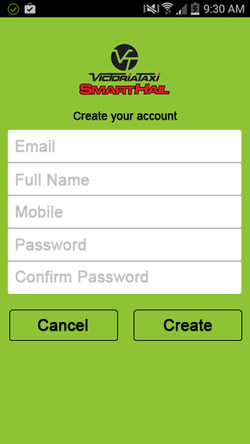 The Victoria Taxi Smart Hail application retains a history of your previous reservations (up to 30 days) for expense management and to quickly rebook the same trip with the push of a button. You may also create a list of favorite locations (Home, Work, etc.) to speed the booking process. 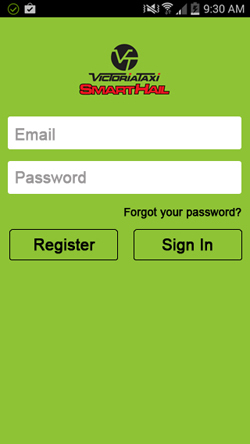 Create your account and register for the app use. Log in for first time. 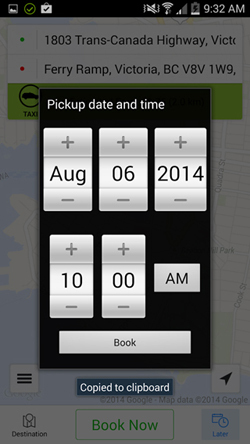 To book a cab simply tell the app where you are. 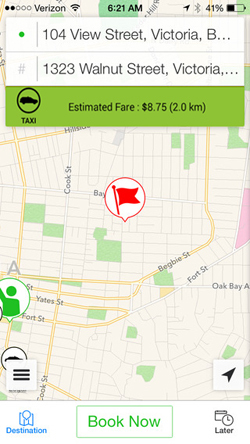 To get a fare estimate tell the app your pick up point and drop off point. 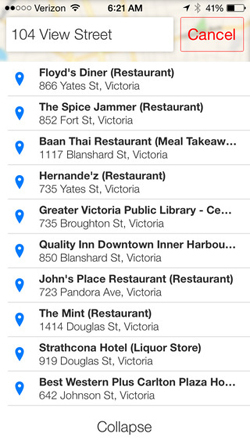 You can select a pick-up/drop-off address from favorites when booking. You can also book a trip for a future date or timecall using the app. You can also customize your orders by selecting the number of passengers, preferred vehicle type, and preferred method of payment. These preferences can be saved to your account profile for future bookings. At Victoria and Westwind Taxi, your comfort and safety are our top priorities! 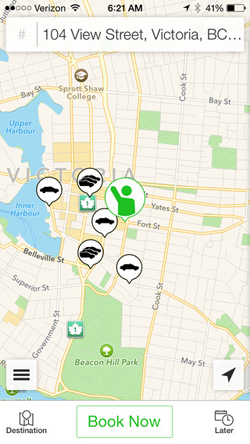 Let us know how we can serve you better by providing feedback via the Victoria Taxi Smart Hail application or by calling +1 250-383-7111. 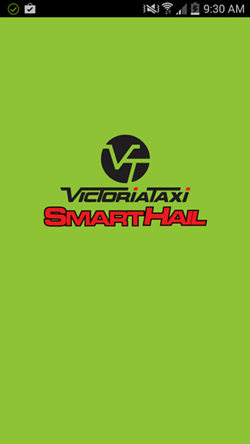 We look forward to adding many exciting new features to the Victoria Taxi Smart Hail application in the months ahead, and are always interested in what you have to say! Notice to users Victoria and Westwind Taxi reserves the right to remove telephone numbers from its database for repeat miss-use or abuse of the app. This includes repeat no-show for taxis booked. Victoria and Westwind Taxi will provide service in accordance with its general company policy, details of this can be found on our website.